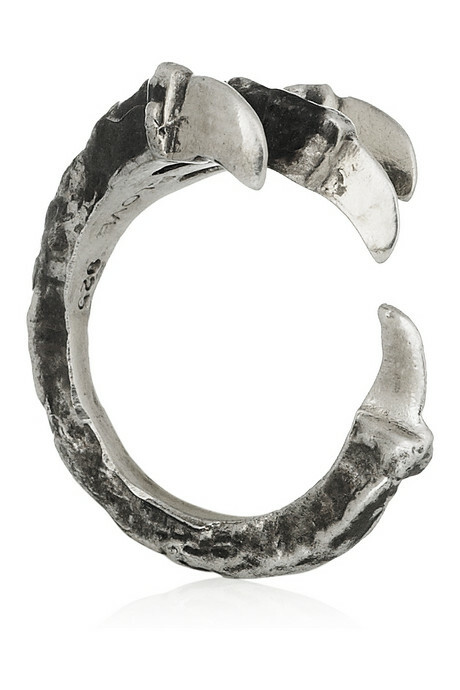 There's something about Pamela Love's jewelry that makes me feel primeval. Maybe it's the rawness of the metal or the boldness of the shapes that I adore so much (talons and spikes, count me in!) Whatever the reason I find myself coveting a piece from her collections every season. My latest obsession is this silver talon ring. Now up close this piece is a little tough looking, but I love how it looks almost dainty when worn. The talons wrapping around the finger ever so slightly, giving you just a glimpse of its edgy design. Check it out for yourself along with some other dope pieces at net-a-porter.